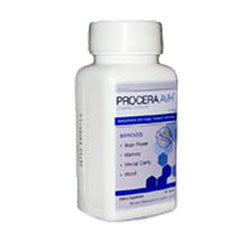 Procera AVH is a non-prescription nutritional supplement that claims it can help treat a so called problem called premature mental decline like poor memory, low concentration levels, forgetfullness, mental lapses, mental fatigue and mood swings. It claims it has been clinically tested and shown to have help improve Memory, Focus, Concentration, Mental Clarity, Mental Energy and Mood. The ingredients contain in Procera AVH are Vinpocetine, Huperzine A and Acetyl-l-carnitine. With your help we can reach more people and let them know about Procera AVH whether this product works or not.